Feel like an A-lister in our modern rooms loaded with all the goods. 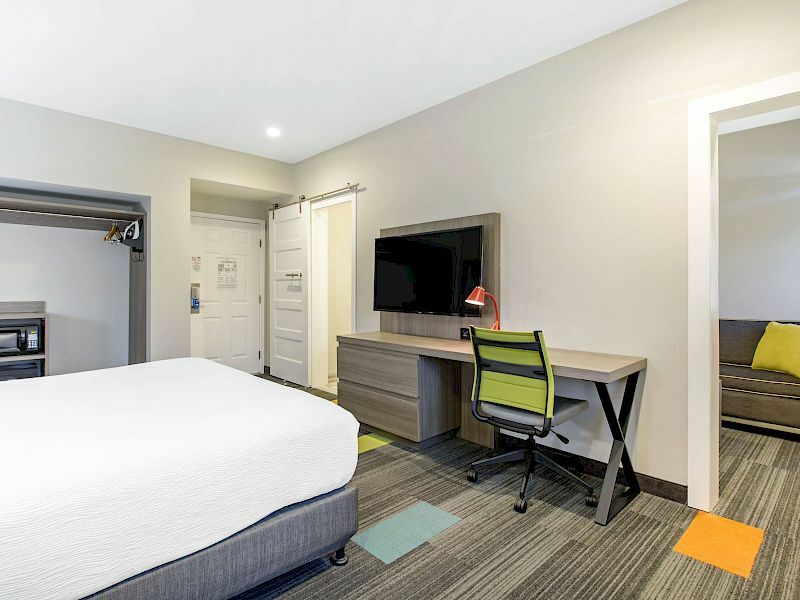 When you are looking for a hotel that’s a clean slate, look no further than the Rodeway Inn Hollywood. 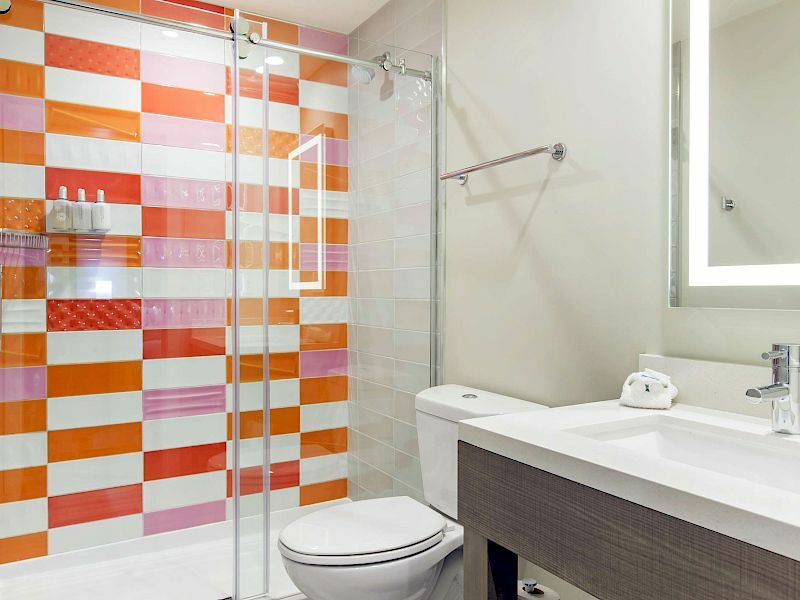 Immerse yourself in sleek and contemporary decor with vibrant pops of color. Inspirational wall decorations embody the spirit of Hollywood, while our soothing design aesthetic makes the Rodeway Inn Hollywood the perfect escape from the grind of the city. Our King bed offers a fusion of modern luxury and comfort. With a subtle yet bold color palette, this room has the perfect appeal for a romantic getaway, or individuals seeking a hip and stylish feel. Designed for a family or group seeking space in a modern place. This Room sleeps four individuals comfortably. 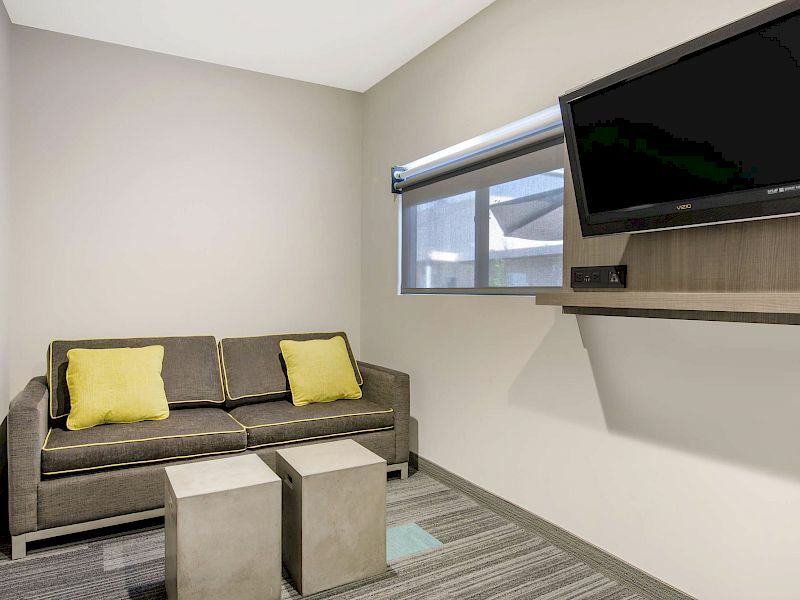 Two room Suite includes: seperate living area, two TV's and seating area. Designed for a family or group seeking space in a modern place. This Room sleeps four individuals comfortably.